← “Should of” in eighteenth-century English! How do you pronounce O, F, T, E, N? Sounding the T or not? (1996:68). an unashamed snob, has many pet hates, including younger men with moustaches and trendy pronunciation. Scott-Thomson, however, is extremely attached to his own moustache and not so particular about his use of language. The biographer with the double-barrelled name is also made to use a split infinitive (“what was in your mind when you agreed to not merely let me write something about you”, 1996: 87), and other questions of pronunciation come up: “Gordon would have expected to be asked how he pronounced CONTROVERSY or IDEAL” (1996:87). These features – the pronunciation of often, controversy and ideal – were evidently considered sociolinguistically salient at the time (though I’m not really sure what the problem is with ideal). Are they still so today? Do people still vary between OFTEN and OFFEN? 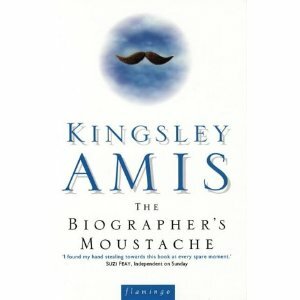 This entry was posted in usage features and tagged Kingsley Amis, offen/often, pronunciation. Bookmark the permalink.